"We call 911, they hang up on us. We call 911, the number’s busy," one Houstonian told BuzzFeed News. "I am scared." Monday, as waters continued to rise in Houston and surrounding parts of Texas, scores of desperate locals continued to wait to be rescued from their flooded homes, inundating 911 and emergency services. Many have resorted to tweeting and posting to Facebook in search of help. The volunteer "Cajun Army," a grassroots group of volunteers who have helped with relief in previous floods, created a map of addresses of those still in need of rescue, listing 763 locations in need of emergency help and 49 successful rescues as of Monday morning. We've been up all night calling for rescue but no one has came please help out in any way possible! Reached by phone in Houston, Pat Fields, 25, told BuzzFeed News Monday that she was able to get through to the Coast Guard early that morning, but that she'd been waiting for more than two hours to be rescued, along with her dog, at 450 Normandy Street in Houston. "I tried those numbers back and the lines are busy," she said by phone. "The first level is completely flooded, and now it's reaching the second level. It's raining hard right now, and I don't have a boat." Fields said she hoped the tweets and Facebook posts might help a volunteer come more quickly. About 10 neighbors are also trapped nearby, she said, including one with a 15-year-old child. Sunday, when 911 had reached capacity, the city urged residents to only call if they were in imminent danger. Since Tropical Storm Harvey made landfall Saturday, two people have been confirmed dead so far. Meteorologists have been appalled at the severity of the rainfall — the National Weather Service called the flooding "catastrophic and life-threatening." An estimated 1,000 people had been rescued Sunday, but much of the state remains cut off as the rain keeps falling and waters are still rising. 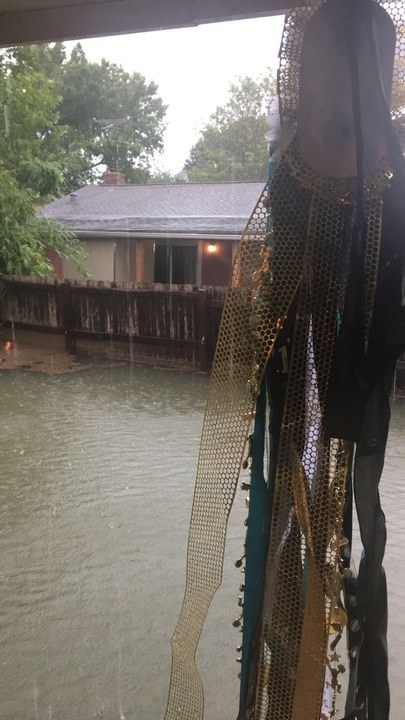 On social media, many Houstonians tweeted they were still trapped and waiting for help Monday. Lauren Fields (no relation to Pat), 19, spoke to BuzzFeed News Sunday while waiting to be rescued with her 11-year-old brother and mother. She said they had been desperately trying to get through to the emergency services for hours. "We call 911, they hang up on us. We call 911, the number’s busy. We call 911, they transferred us to flood department to transfer us back to 911 and then the phone gets disconnected,” she said. Fields, whose younger brother is autistic and asthmatic, said he was "very anxious" and "overwhelmed." "I am scared," she said. "We have an attic, but what if we get trapped in the attic? This is a house full of women. We don’t have ready tools available. All that we have is a broom and maybe a heel. We don’t have anything to make a hole." "I really think we underestimated it," Fields said, as she and her family tried to flag down a passing helicopter they could see from their window. They were successfully evacuated late Sunday with the help of a neighbor's boat. One college student, who did not want to be named, said he and his elderly grandparents waited for six hours before help arrived from the emergency services. Jesse Sanchez, who was at home with his blind father and grandmother, said they had first called 911 at 5 a.m. local time Sunday. They were still waiting for responders at 1 p.m. — almost seven hours later. The 24-year-old told BuzzFeed News the emergency services were "not prepared at all" for the storm. "And we are about to get hit with more rain. If we have to get on the roof, my grandmother will not make it," he said. Others posted that they had been forced to flee and rescue themselves. Terral, who declined to share her last name, told BuzzFeed News Sunday her disabled parents first called 911 Saturday evening at 11 p.m.
"They have been waiting ever since," she told BuzzFeed News Sunday. "All hotlines are busy." “They are doing the best that they can overall, but as far as my actual neighborhood [Sagemont], they aren't doing the best,” she said of the emergency response. She was “extremely worried” about her parents because of their disabilities. 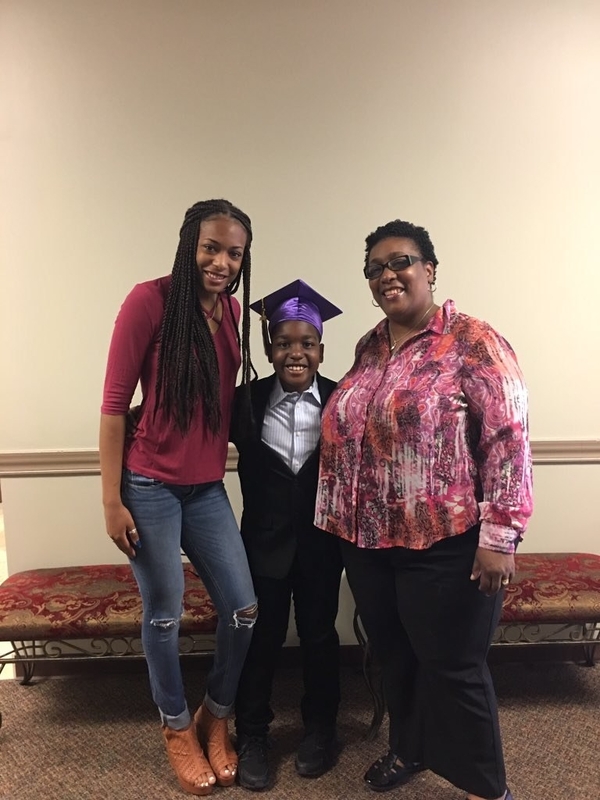 “My mom had a spine surgery a year ago and needs major assistance getting around and my stepdad is a three times stroke survivor and diabetic," she said. Terral said it was particularly awful for her as she was in Huntsville, Texas, roughly 88 miles from her home. “I’m just worried because I'm not there to help,” she said. 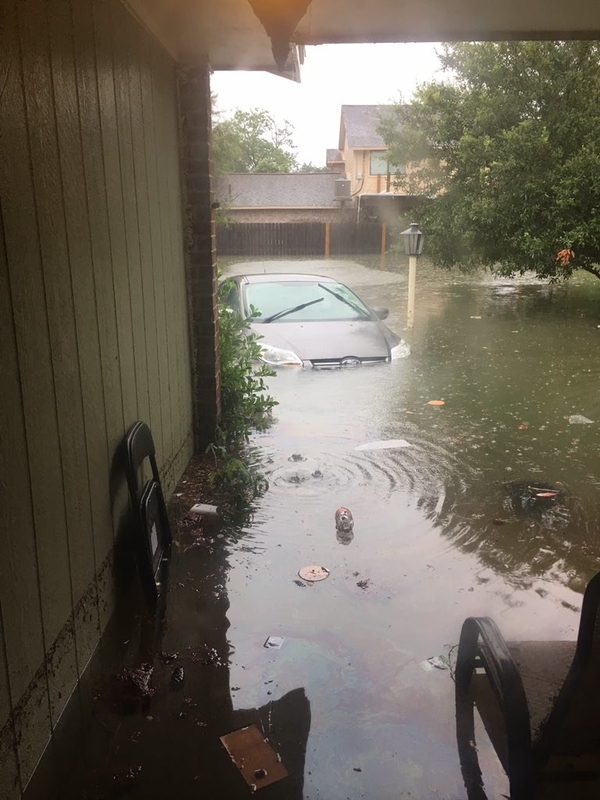 In a press conference Sunday, Houston Mayor Sylvester Turner said officials had responded to more than 2,500 calls, with more than a thousand waiting for service — most for people in vehicles on the road and stuck in flooding. “All the 911 call centers are experiencing extremely high call volume. Calls are backed up, and call takers are trying to process calls as quickly as possible," an earlier statement Sunday said.